– 73% of adults report purchasing more candy than they’ll need for trick-or-treaters so they can have the extra to binge themselves. – Four in 10 adults say they enjoy Halloween even more now than when they were a child. For 37% of these adults, the reason why is because there’s no limit on the amount of candy they can consume. – A responsible 58% of adults do limit their candy consumption on Halloween night though, and 75% of parents limit the amount of candy their children eat on the holiday. – Many parents take additional steps to keep their children from over-indulging or being unhealthy around Halloween. Seven in 10 parents enforce a stricter teeth-brushing and flossing routine on Halloween, and 41% compensate for Halloween candy by serving a healthier dinner on the holiday itself or the next night. 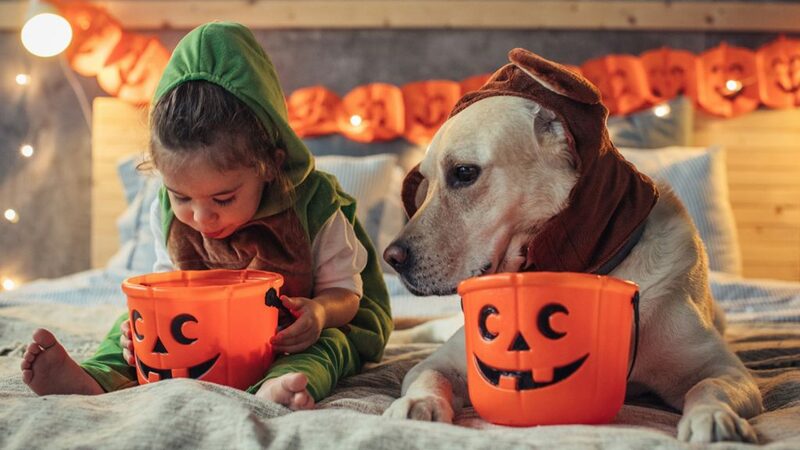 – After Halloween, 63% of parents report letting their children eat a limited number of pieces per day; 29% say they hide the candy and 26% exchange their children’s stash of sweets for small toys or gifts. – Half of the adults say they eat the leftover candy, while 39% leave it out for guests to grab or decorate with it, and 35% report bringing extra candy to their office. – But this plan isn’t always successful – the last time they planned to bring candy to share with co-workers, the average adult ended up eating the majority before making it to the office. – About 40% of adults report Halloween candy lasting between a week and a month in their house before it disappears. – 17% of adults report donating some of their leftover candy, and over half of respondents throw out at least a portion of their holiday haul. – For adults and children alike, milk chocolate is the favorite sweet. The other top treats include dark chocolate, chocolate with nuts, white chocolate, and gummy candy – showing a difference in age doesn’t mean a difference in taste.